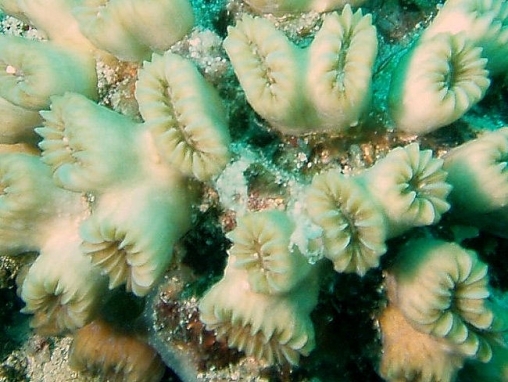 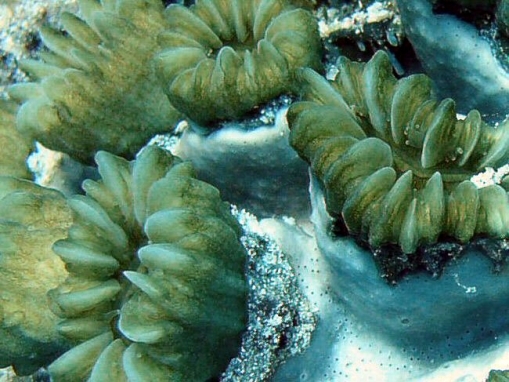 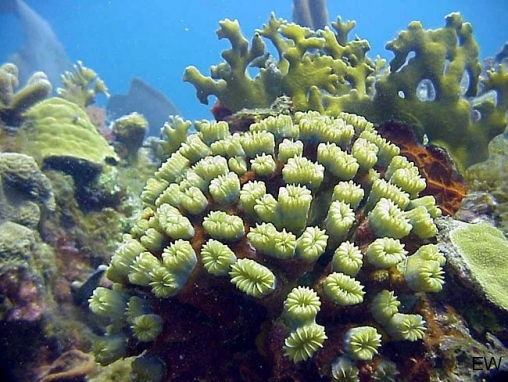 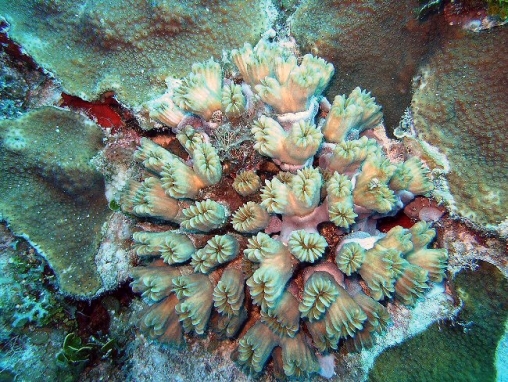 Colonies are clumps of tubular corallites, each with one to three centres that are round to oval in shape. 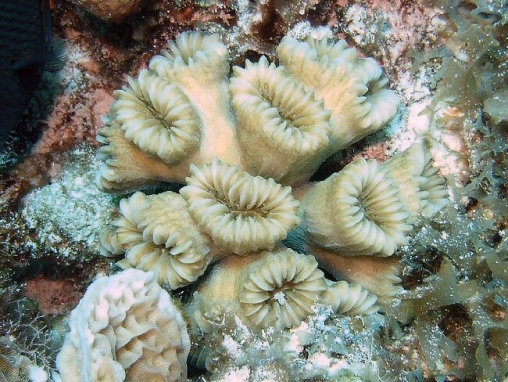 Corallites are widely spaced, and there is no living tissue at the bases between well developed groups. 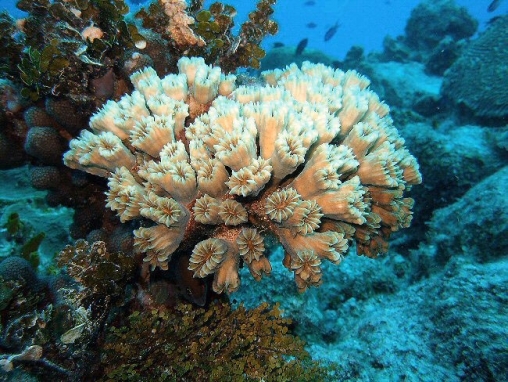 The primary septa are large and widely spaced, with smooth edges. 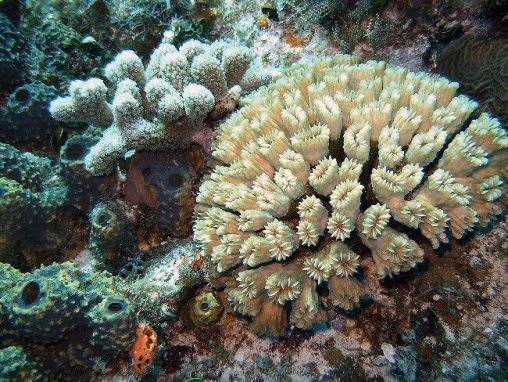 Colour is cream with pink or green tints. 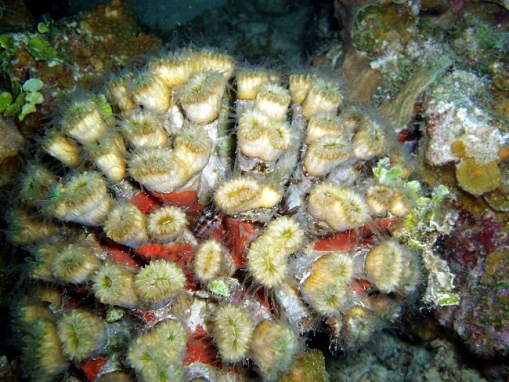 Tentacles (last photo) are translucent and are seen during darkness only.